It is difficult for Christians to know how to respond to homosexuality in today's culture. Some believers argue the truth while others remain silent to avoid offending. How can we lovingly, yet truthfully, respond? Does God call homosexual behavior sin? Do homosexuals go to hell? How do I love without judgment or condemnation? How do I minister to my child who has walked away from the Lord? 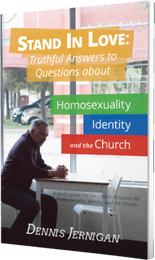 Part of the Church Resource Kit: Homosexuality, Identity, and the Church, this study guide supplements the video series with additional materials and thought-provoking questions for the individual Christian and the church. You may know Dennis Jernigan before you know his name. 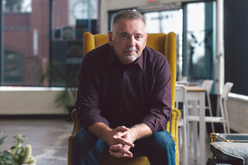 Having penned songs like "You Are My All in All," "Thank You," "Who Can Satisfy My Soul (There Is a Fountain)," and "We Will Worship the Lamb of Glory," Dennis Jernigan is a worship leader, song receiver, and author. Married for thirty-two years to Melinda, they have nine children and make their home in Muskogee, Oklahoma.